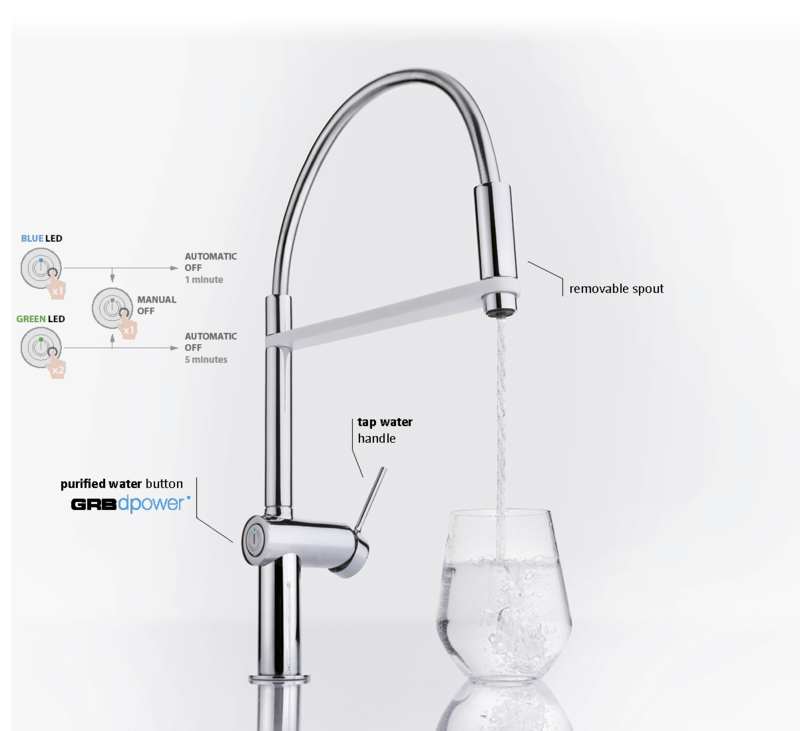 A minimalist design in a mixer with a purifier system that allows you to activate the purified water with only one touch. The only model with push-button dpower function, removable spout and LED light that visually indicates which mode of purified water we have activated. You decide when and for how long pure water is required. The activated carbon filter filters and purifies the water, eliminating possible bad tastes, smells, polluting substances and heavy metals, by a process called adsorption. One filter has the capacity to treat 2800 litres of water, although always depending on its quality. It is recommended to replace the filter every 6 months. No more buying mineral water, with the resulting money savings. Brass and stainless steel, high-pressure anti-rupture connections.